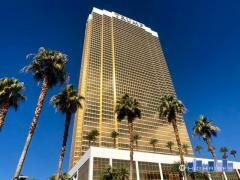 One Condos of Las Vegas | 8255 S. Las Vegas Blvd. Built in 2009, ONE Las Vegas is comprised of two 20-story high-rises. ONE Las Vegas is a pet-friendly community and amenities include a resident gym, heated pool, hot tub, concierge service, in-unit laundry, and garage parking. Have any comments or questions about One Las Vegas? Ask your question and/or share your thoughts about this Building.